Kowarekake no Orgel Visual Fan Book is a hardcover, B5 sized book released by POP at Comiket 77 showcasing his original animation series Kowarekake no Orgel. This book is a culmination of POP's work with his doujin circle ElectromagneticWave over the past year on this project and it includes the finished and final anime episode on DVD. 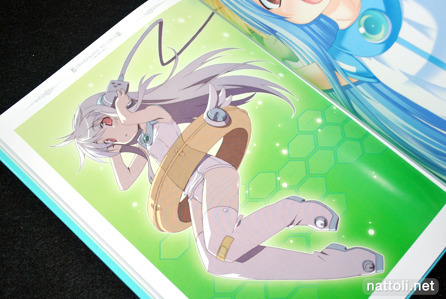 For those of you who purchased an issue of Megami Magazine in the past year, you'll definitely be seeing some familiar illustrations. 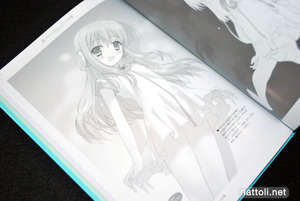 The POP poster each month featured characters and story from Kowarekake no Orgel and many of those are published in this book. 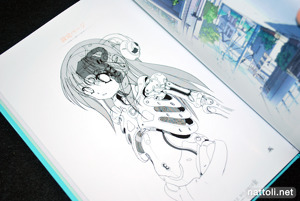 There are about 18 pages of POP's illustrations in this book, and several are spreads. 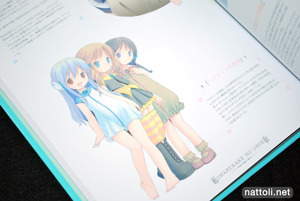 Kowarekake no Orgel Visual Fan Book is 96 pages in total, and the first 66 are in color. 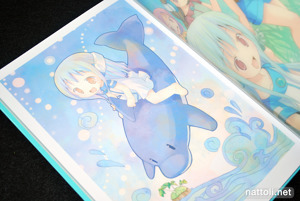 It's actually very well made, with a 3/4-size slip cover over the solid-colored hard cover. 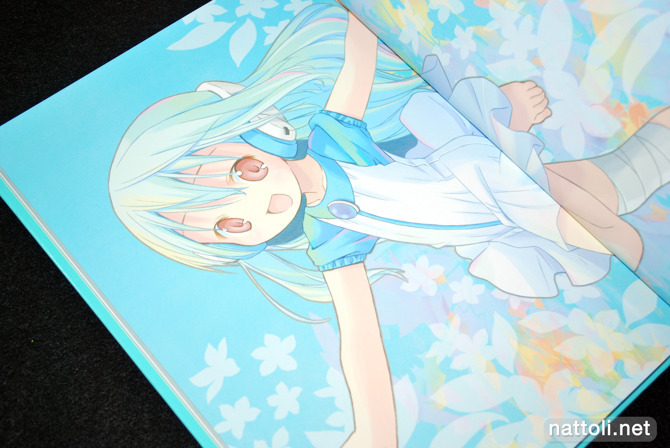 The printing is very professional, and the DVD is cased in a thick cardboard page that is cut to bend with the rest of the book. The majority of the book---pages 21 through 51---consists of guest artist contributions, with quite a few big name artists featured. Above from left to right is art work by SDWing, Kantoku, KEI, SANA. C, Sody, and Nilitsu. Poyoyon Rock and Kurehito Misaki were some of my favorites from the fan art section. 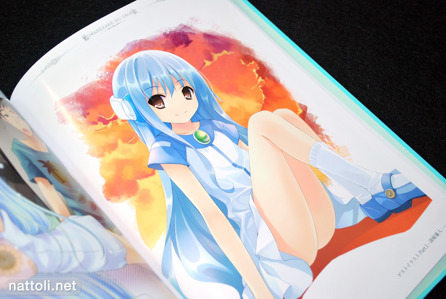 Several of the artists are Taiwanese artists from the group Friendly Sky, several of whom were also featured in the commercial art book E☆2 Taiwan Girls (台湾的少女). 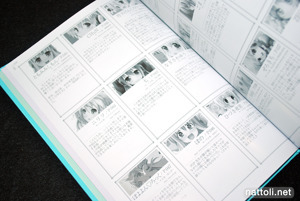 For a more complete list of the artists in this book, visit the Kowarekake no Orgel website. 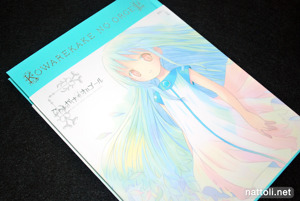 After the color guest artist illustrations, there is a materials section that includes a couple of 4-Koma stories, full-color background art (which is surprisingly detailed) and design elements and background information for Flower, the blue-haired heroine for Kowarekake no Orgel. The last set of guest illustrations are in black and white, and also include some congratulatory gift arts as well. 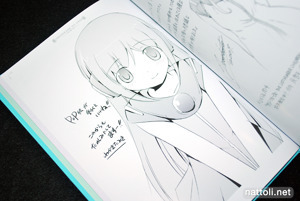 Above are illustrations by Aoi Kimizuka and Wakaki Tamiki (author and artist for The World God Only Knows). 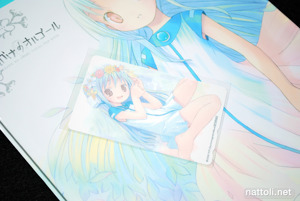 Not a fan of artbooks with multiple artists, makes the whole thing feel inconsistent. 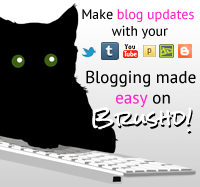 I'm surprised it doesnt bother you actually!